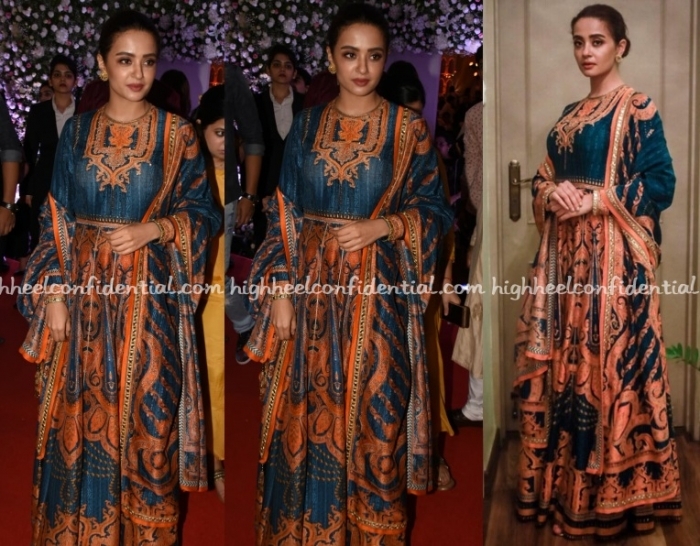 Wearing JJ Valaya, a designer whose creations we don’t see enough of, Surveen attended Baba Siddique’s iftar party on Sunday evening. The printed anarkali may not be everyone’s cup of tea but she sure looked nice in it. 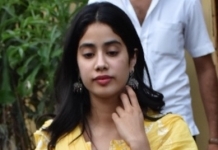 Keeping the jewellery and hairdo simple worked in her favor. She looks good and better than most of the folks who have attended that party inspite of the outfit pick. Full credit to the makeup for that . Simple and elegant so that it doesn’t clash with the busy outfit . Surveen tried so hard to save this outfit~sadly couldn’t. She looks so nice in spite of the monstrous outfit!! J J Valaya should only design for Daler Mahendi! A beautiful jewel toned outfit but designed all wrorng.. Too voluminous..A designer name does not save it. Surveen did good with the makeup and hair. Nice change from the sequins and embroidery on others.